Maintaining the electric motor and the deep cycle batteries on your DIY electric car, of course, is necessary for its efficient performance; but if you leave the car exterior uncared for, it does not impress anyone. When you think of selling your electric vehicle for a change or any other reason, an unkempt exterior look is sure to bring down its resale value tremendously. In this regard, a well maintained body with paint and glasses in good condition may score even over the overall performance of the EV. First impression lasts, doesn’t it? Used car sale professionals do first lift up the external look before presenting a car for display. That may be an expensive proposition and is avoidable if you regularly take the very basic cleaning care like giving it a thorough wash with a pressured water hose, without trying too hard to remove dirt stuck to the body, from time to time. The areas that are not easy to clean are generally those where tar and sand granules have got stuck. These will not clear up without using specific cleansing products available at auto stores. Following the directions for use given with the product is important so that car paint is not damaged in the process. After this part of the process is over, the car is ready for being polished. A caution here is worth a million! You must ensure that you pick up a good brand of car polish, albeit a little costlier. Cheaper polishing material works faster; but it is at the cost of your paint! In fact, cheaper polish products are most certainly likely to contain some abrasive compound rubbing with which is sure to remove the upper paint layer; if used regularly the paint may get worn off with the primer coat showing. This will then need a re-paint. Once you have completed the polishing job, the electric car surface should glisten; the areas where it doesn’t need to be polished again. Now, if left exposed to weather like this, the shine won’t last for long. This may bring your painstaking effort to a naught. The remedy lies in applying a protective substance, most commonly carnauba, to the body surface; that’s it! You will find that the protective layer is impervious to dirt, sand etc. so the shine lasts much longer. Some of the very well known names in car care products are Meguair’s, Turtle, Mothers, Zaino and so many more; these are all good and serve the purpose very well. Of course, you have the right to choose from these brands depending on your own judgment about the quality of your car looks. 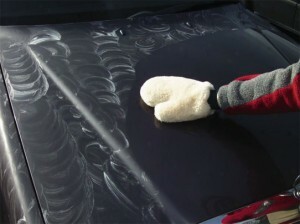 One more tip here; always use terry cloth towels or fresh micro fiber for applying polish and giving it a shine. Old used fabric from domestic waste for the purpose will actually do more damage than saving! You must have noticed that some cars you come across on the road though shining, appear as though coated with cobwebs when seen from some angle; this is the result of polishing with used cloth. If you consciously find time to carry out the above cleaning process even once every two months, the paint on your homemade electric vehicle will surely not wear out for much longer. You must always pay attention to the condition of the paint, the paint should be even on the entire body of the car, even if you feel any paint which has been done recently on any part of the body, it means that the car has met with an accident and has been repainted. The new paint means accident and it will give you trouble. If you find any rust on the exterior of the car that means the car has not been maintained that well.